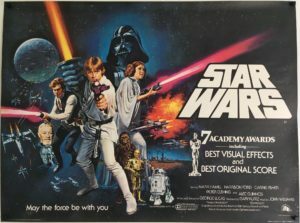 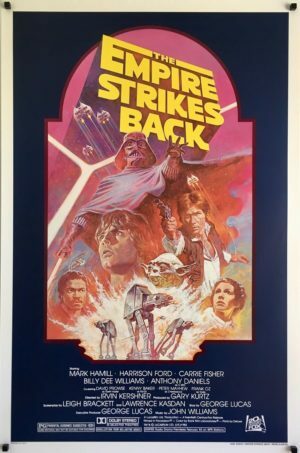 This limited edition poster was created by Hugh Fleming as a special treat only given to those who attended the Melbourne or Sydney midnight screenings that were booked out for Star Walking Inc (the Star Wars Appreciation Society of Australia). 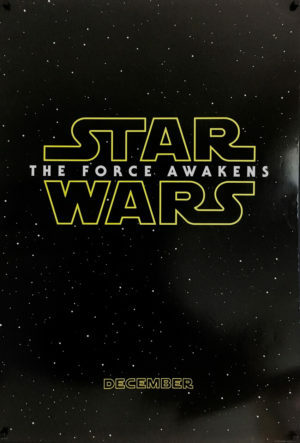 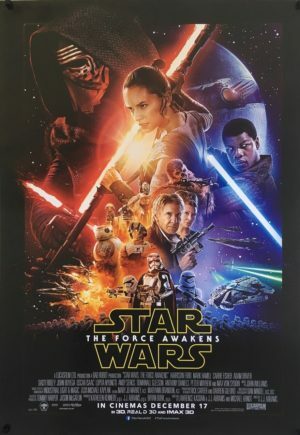 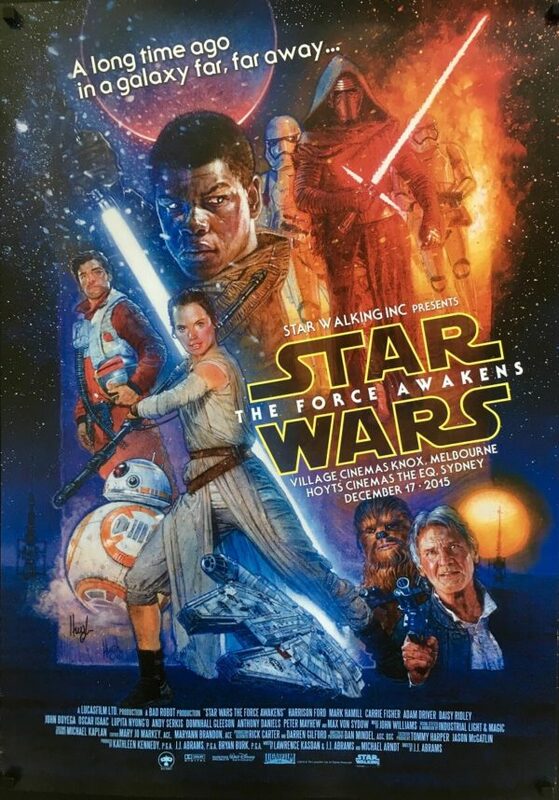 Force Awakens poster varients are highly sought after, and seeing that there were only a small number produced for these screenings its unlikely that many of these will surface for resale. 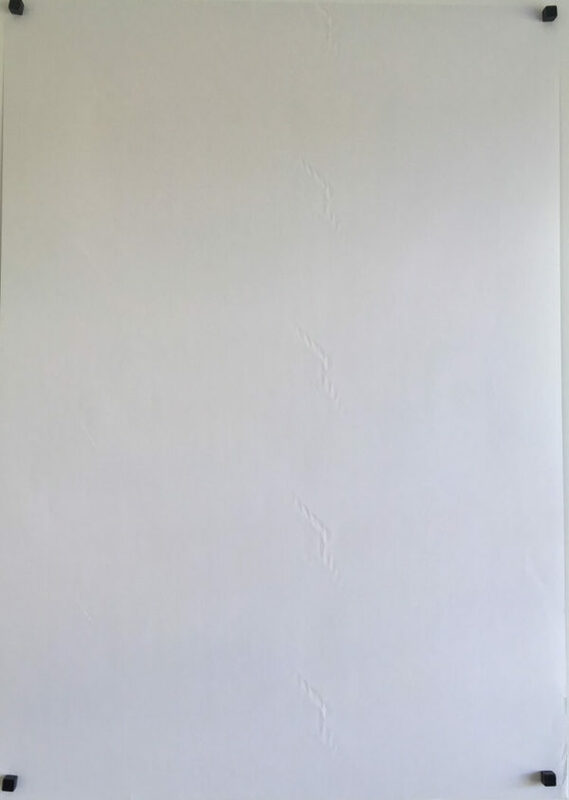 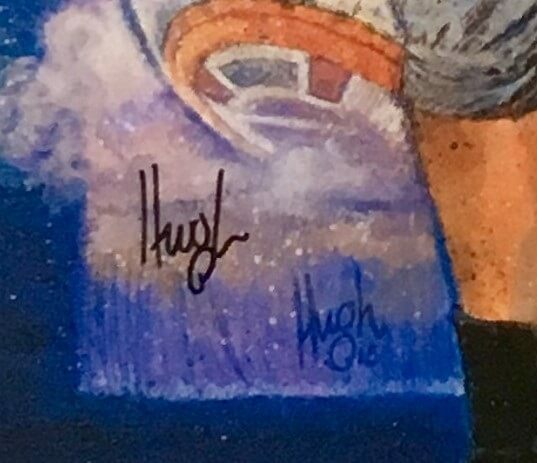 Of note, the Artist has signed the poster with a sharpie right beside his printed signature (see image). 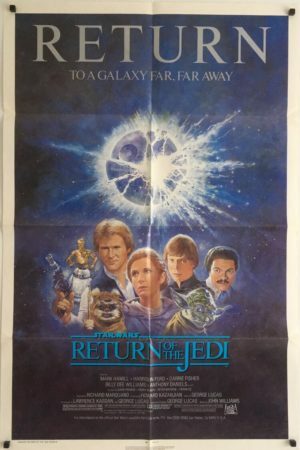 Also of note, is that sadly the tube this poster was being carried in sustained a rather nasty knock, resulting in a crease line that runs vertically through the poster. To highlight this I have also provided an image of this defect by taking an image of the rear (its hard to make out from the front), there are also a couple of knocks to the lower edges. 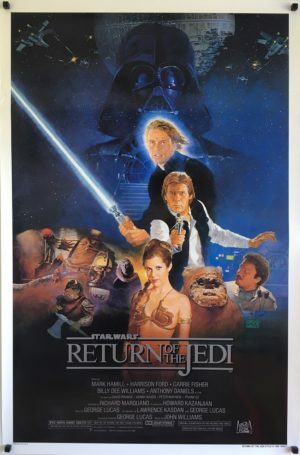 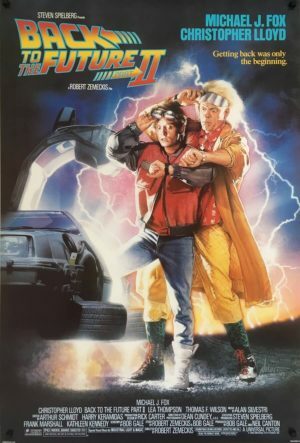 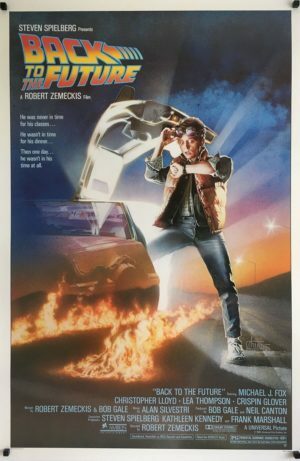 That said, this is still a rare and unique poster for the movie and would look amazing framed accordingly.